Making a case for revamping your workplace culture and making it more equal and diverse to the CEO just got easier. A recent research by Accenture has shown that a culture of equality is the strongest driver of innovation in the workplace. While experts and industry leaders have long opined and demonstrated the positive impact of diversity and equality on innovation, Accenture undertook a global survey to explore the linkages between the two. The ‘Getting to Equal 2019: Creating a culture that drives innovation’ study is a one-of-its-kind analysis of how an equitable workplace not only acts as a multiplier of innovation but also provides purpose and motivation to the workforce. Based on a survey of over 18,000 employees from 27 countries and a phone survey of over 150 C-suite executives from eight nations, the report builds on Accenture’s 2018 study ‘When She Rises, We All Rise’ that identified and measured 40 workplace culture factors that influence advancement and characterize a culture of equality. Let’s dive deeper into the findings of the report. At the very outset, the report states that for driving innovation in organizations, leaders need to go beyond hiring the best talent and also focus on creating the right culture for their talent to flourish. “A culture of equality – the same kind of workplace environment that helps everyone advance to higher positions – is a powerful multiplier of growth and innovation.” As a matter of fact, equality has the highest impact on innovation mindset (the willingness and ability to innovate) more than factors that differentiate organizations, like, industry, country, or workforce demographics like age and gender. Employees working in most-equal workplace cultures also see fewer barriers to innovation and are less afraid to fail. Across all genders, sexual identities, ages, and ethnicities, innovation mindset is up to six times higher in most-equal workplace cultures, as opposed to least-equal ones. Similarly, improving the workplace culture has an impact that is 42 times greater than increasing compensation. “This means that building a culture of equality is not just an ethical imperative, but a business priority. If organizations want to thrive, they have ‘get to equal’”. Organizations all the around stand to gain tremendously from acting on this advice as the research suggests that the global domestic product can increase up to $8 trillion by 2028 if an innovation mindset in all countries is enhanced by just 10 percent. The significance of innovation has only increased as 95 percent of the business leaders surveyed view innovation as ‘vital’ to competitiveness and business viability, and 90 percent of the employees want to innovate as well. However, the bad news is that there is a glaring disconnect between what entails true empowerment for innovation at the workplace. While 76 percent of the business leaders stated that they empower employees to innovate, only 45 percent of the employees felt that they were empowered to innovate. This disconnect can be attributed to the overestimation of financial rewards and ignoring purpose as a stimulant for innovation. Additionally, companies haven’t been able to fully understand the extent up to which workplace diversity can impact a culture of equality. The report suggests that while diversity might be measurable in numbers, a culture of equality ensures that employees don’t just simply check a box, but, are valued for their differences, are free to be who they are, and are empowered to contribute. Although diversity has been identified as a critical priority for organizations recently, its ability to act as a multiplier of innovation needs more recognition. A 2015 report from McKinsey & Company showed that organizations with a more diverse workforce perform better financially. Industry leaders have already reached this conclusion and are going out of their way to be a truly diverse and inclusive organization. In fact, Apple wears its diverse workforce on its sleeves and says that “The most innovative company must also be the most diverse.” Other studies too have shown that diversity increases retention, maximizes talent and productivity, enhances decision-making among teams, improves market reputation, reduces the risk of fraud, and even strengthens the company’s CSR initiatives. Accenture upholds that a culture of equality is based on three important pillars: “Bold Leadership (a diverse leadership team that sets, shares and measures equality targets openly), Comprehensive Action (policies and practices that are family-friendly, support all genders and are bias-free in attracting and retaining people) and an Empowering Environment (one that trusts employees, respects individuals and offers freedom to be creative and to train and work flexibly).” Among these three, an empowering environment is the most critical, as it constitutes eight of the top ten workplace culture factors that impact an innovation mindset. 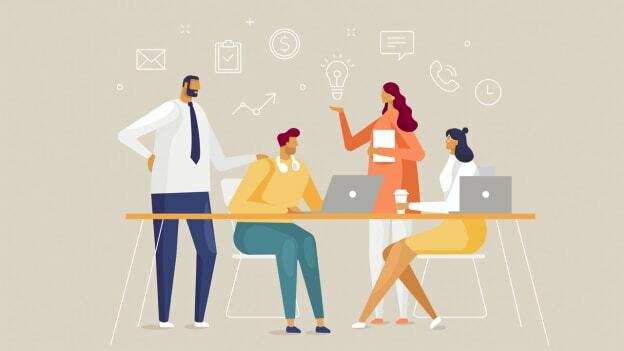 The research also revealed that in Indian organizations that have a healthy culture of equality, employees have an innovation mindset that is three times higher than in least-equal companies. Furthermore, when diversity is added to a culture of equality, the innovation mindset score becomes nearly five times that of less equal or diverse organizations. Forbes has also previously reported that a diverse workforce is a critical component of innovation and success. On the other hand, the differences in opinion regarding workplace empowerment was narrower in India as 76 percent of the executives said that they empower employees to innovate, as opposed to 68 percent of the employees who feel empowered. However, like their global counterparts, employers in India rely on financial incentives to motivate their employees as well. This indicates a need to shift the focus on other crucial factors that foster an innovation mindset like, providing relevant skills training, offering flexible working arrangements, and respecting work-life balance. It would help to focus on the six elements that comprise the innovation mindset, as listed by the report: purpose, autonomy, resources, inspiration, collaboration, and experimentation.